there may be changes to this game schedule. Now that the second semester has started and our baseball season has begun we are asking for donations to assist with paying for the spring program. In addition to our regular Western Division Season games, we are playing in a number of tournaments. The Varsity players will also participate in a week-long tournament in San Diego over Spring Break. The suggested donation amount is $450 per player to support the costs associated with the program. Some of the costs incurred are field maintenance, equipment, equipment repairs, and tournament fees, as well as hotel accommodations for the coaches and players in San Diego. We understand this is a substantial amount for which we are asking and if you cannot contribute at this level, any amount is greatly appreciated. It is only a request to help subsidize the spring program, which otherwise receives minimal funding. The donation is tax deductible and you will receive a donor receipt reflecting the amount paid. 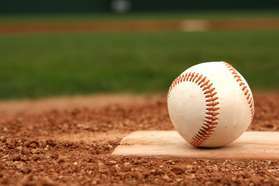 Please send in your check payable to Palisades Charter High School and write Baseball Team Account in the memo section. The checks can be given to me directly as they will be deposited into the school baseball account, as opposed to our non-profit, which manages all Fall donations only. As always, we appreciate your support and look forward to a winning 2019 season. Please note, all monies paid are non-refundable.